Trump plans on using an executive order to eliminate birthright citizenship. This will be a huge legal battle and it needs to be addressed through the Congress. I do agree that it needs to be eliminated. I'm pretty sure it would have to be done by amending the constitution (that's a big hurdle). Now what I'd really love to see done is for congress to get rid of the executive order. The president (regardless of party) was never meant to make laws. Nothing we've seen in the last several decades goes against the founders' original intent than the executive order. I agree. This would be an extemely dangerous precedent & it seems like a ridiculous stunt. If a president could just change the constitution via EO, the next president could presumably just do away with the 2nd and “take arrrrr gunnnnnzzz!”. The argument mostly hinges on the original meaning of "subject to the jurisdiction thereof". Some contend that the 14th Amendment was only intended to provide citizenship to children born in the U.S. to lawful permanent residents — not to unauthorized immigrants or those on temporary visas. The court has already ruled that children of immigrants that are legal permanent residence have citizenship. However there has been no ruling on a case specifically involving undocumented immigrants or those with temporary legal status. That will come, I reckon. Without it, slaves weren't actually "citizens"
Trump just lost the election for Cruz by doing this. Way too many Hispanic voters will not like this. Only should be used in a crisis situation and EO's should never be permanent. Time limits and term limits. EO can’t MAKE law, it can only modify existing law. And it can be overturned/rolled back with the next administration. EO's should only be used to protect the citizens of the USA against any and all threats foreign or domestic. Should never be used to further a parties agenda like stopping the building of a pipeline or drilling for oil or building a road blah blah blah. The president's job is to protect us and he should be able to issue orders to do so but not to satisfy his whims or those of his party. If congress was doing it's job there would be no need for most EO's. It was put in there before the internet and before Mexico was even our border nation. Everybody in the USA is subject to our laws as soon as they touch our soil. And not only illegal aliens have babies here. Folks on student visas and even europeans on work visas INTENTIONALLY have kids here so their kids can be Americans. All the more reason for the SC to interpret the intent of the 14th. How can you interpret something that was written 200 years ago without current day context? So you're ok with those liberal justices "interpreting" the constitution? Because I don't think the intent of the 2nd is what many think it is. I think the 2nd was put in place with the spirit that an average man should be able to hold weapons in order to fight off the government if need be. If that is the case, these little peashooters we have are of no match for the artillery that the government has so we need to be able to possess all the bombs, grenades and other high tech stuff the government has in order to make the fight fair if it came down to that. There is no way any militia in this country could fight off the us military if the military didn't care. I believe Mark Levin is one of the best constitutional lawyers of our time and I put a lot of weight in his thought process and how he views the situation according to the constitution. 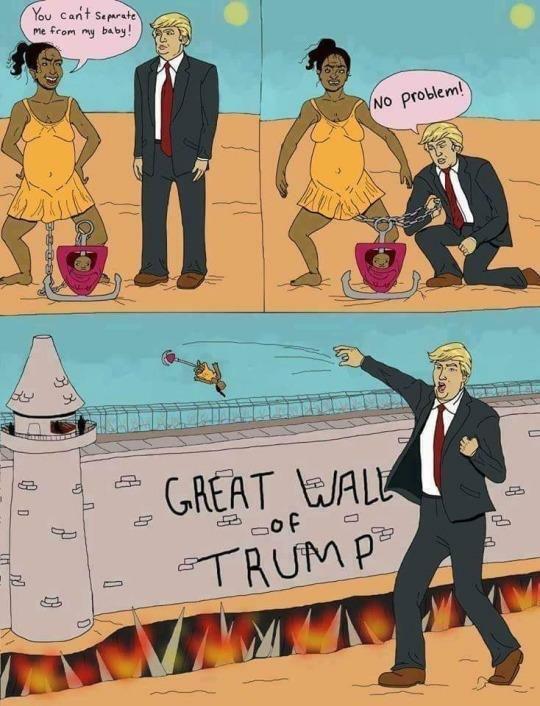 I am a Trump supporter and I think he is onto something and I bet he gets this done. So what could "and subject to the jurisdiction thereof" possibly mean? It has to include someone. So if not people here illegally then please tell us who? Do you have even one grain of logic in your head? Hmmm. Tell that to Afganistan and Vietnam. They seemed to put up a pretty good fight with "peashooters". You can let your buddies have yours. I'll keep mine. And the 1st was put in place when people only had feathers and ink wells. Now the media gets to SELL us news. The same can be said of the second amendment. Pepper spray with lots of rubber bullets and bean bags. Essentially come in riot gear and detain them all right on the border. Quickly process them back to their side of the river. You assume the government would have the support of the military, which it would not. Can you release an illegal Honduran to say Mexico ? Or do you need to send them all the way back to their home country? A simple method of dealing with this is to assign a newborn child the same legal status as their parents. Citizen parent = citizen baby, green card parent = green card baby (applications tied together, same years counted), refugee status parent = refugee status baby, parent from another country visiting (legally) = child from another country visiting (legally), illegal immigrant parent = illegal immigrant baby. Where one parent has a "better" status than another, the child should be given the better of the two. The Vietnamese had the things we don't: fully automatic weapons, bombs, tanks, planes, artillery, ships, etc. Yep. I don't see any military action happening again in the US short of an invasion. No, they have to be deported to their country of origin. They did for sure. But they did not come close to matching the firepower of the US military. South Vietnam (without us) had more firepower than the communists. It is my understanding that their will to win along with their "peashooters" allowed them to defend themselves against out military. That and a lot of weak US politicians. The same way other amendments have been interpreted by the SC, which were also written more than 200 years ago. Surprised you didn't know that. That and a lot of weak US politicians. And China/USSR help. We would've won the Korean war too had China not gotten involved (and still might have had McArthur not had his head up his behind). Last edited by sir shovelhands; 10-30-2018 at 12:56 PM. You assume the military is nothing but people who think like you. How many joined the military just to avoid jail or escape the ghettos of Chicago? You think they'll have issue with taking folks guns in Abilene? You think the folks from Abilene will have issue with taking guns from the thugs of Chicago or Compton or New Orleans? There are Americans employed by the government that are illegally spying on Americans now which is against the constitution. 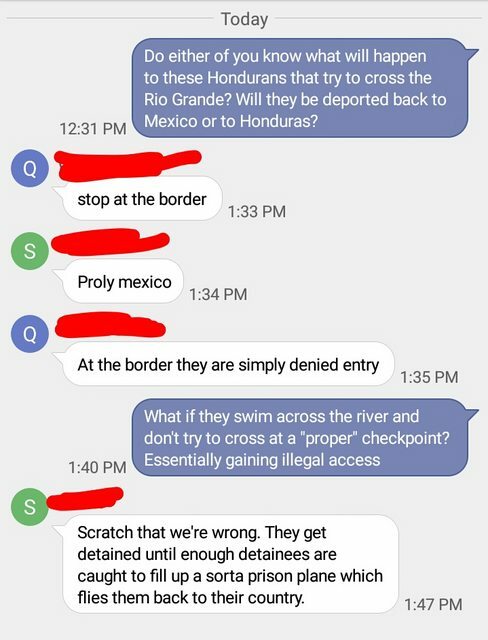 I asked a few buddies that work for CBP/ICE I'll hear back soon. Oh wait, what about the immigrant who doesn't know who the child's father is then goes on a Maury tour circuit of trying to prove paternity? How would spurm donors work? Donor is American citizen but mom is foreigner. Hmmm they originated in Mexico although they are if Honduran descent. You're saying we have to ship them back to Honduras? What if they aren't actually Honduran lie to us? If we can send them to any country we want, send them to Antarctica. Want to make a wager on it, say loser has to log out of TBH for a month? Or just the PACE forum since that is the only place you utilize your very unique online personality. I didn't say we can send them anywhere we want. Incorrect. You listed 2 options. Neither of which addresses a Honduran sneaking in through Mexico. You are stirring the pot on so many threads, arguing for laws on one, and against laws on the other. My god man, how bad in your day to day life that you get joy from this? I believe you're in many more of these posts than I am. I believe you are FOR the 2nd on some posts and AGAINST obamacare in others so that's a wash.
We are all Americans (well the ones that were born here legally), there really shouldnt be teams or tribes. We should be a nation of laws. I bet the Turkey isnt the only thing that gets stuffed ! Oh and they can't stand that I don't believe that Obama is a Muslim and the leader of ISIS or that Hillary is going to Executive Order our guns away if she is ever elected. Last edited by texansfan; 10-30-2018 at 01:57 PM. You misspelled, "I could not have been more wrong on this topic. And you batman, were spot on as usual, I am so embarrassed I will never come back to the PACE forum. Ever. " Kind of funny, your bros at ICE, what, had to look up the laws? LoL your finest six figure federal employees at work!!! But did you know CBP/ICE Do more than just deport illegals?